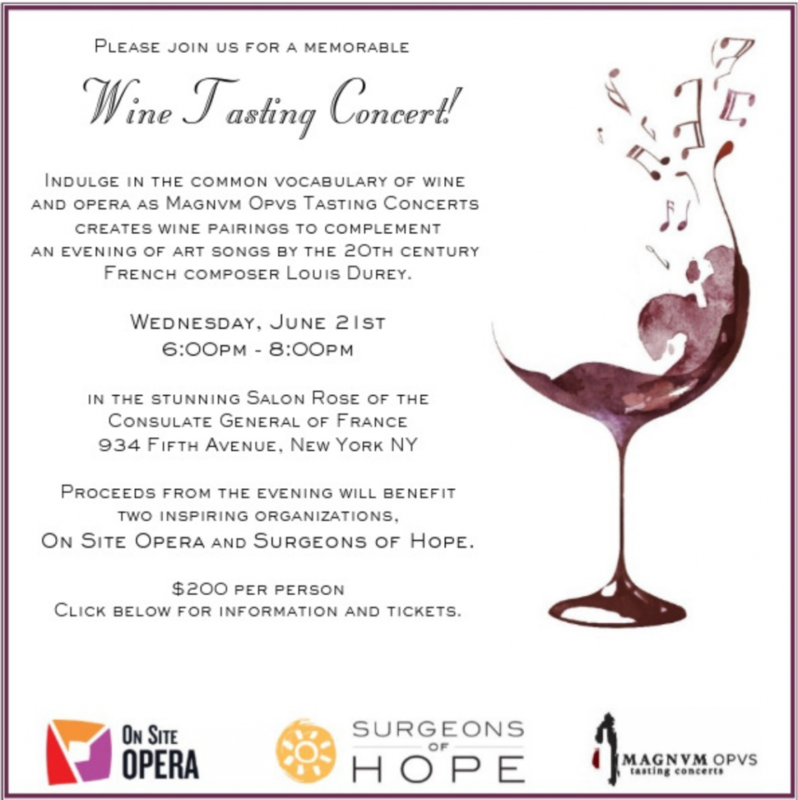 Please join us on Wednesday, June 21st for a MAGNVM OPVS Tasting Concert to support Surgeons of Hope in conjunction with On Site Opera! The event will take place from 6:00pm to 8:00pm in the Salon Rose of the Consulate General of France. At a MAGNVM OPVS tasting concert, audiences are guided through a traditional wine tasting process, an exploration which uses the senses of sight, smell, taste, and touch. The wine tastings are built around specific singers, presenting specially curated wines alongside musical selections specifically chosen to highlight the parallels in both voice and wine. Tickets to attend this event can be purchased via the link below. Proceeds from the benefit night will go towards saving the lives of children with congenital heart disease! For more information about the event, please click here. As always, your continued support is wonderful! Please purchase tickets by June 15.